Bronze plaques are often used to send a powerful message. Usually used as memorials, these plaques are sturdy and striking to look at. These plaques also lend a professional look to office buildings or businesses. They hold up against the elements and can withstand the test of time. 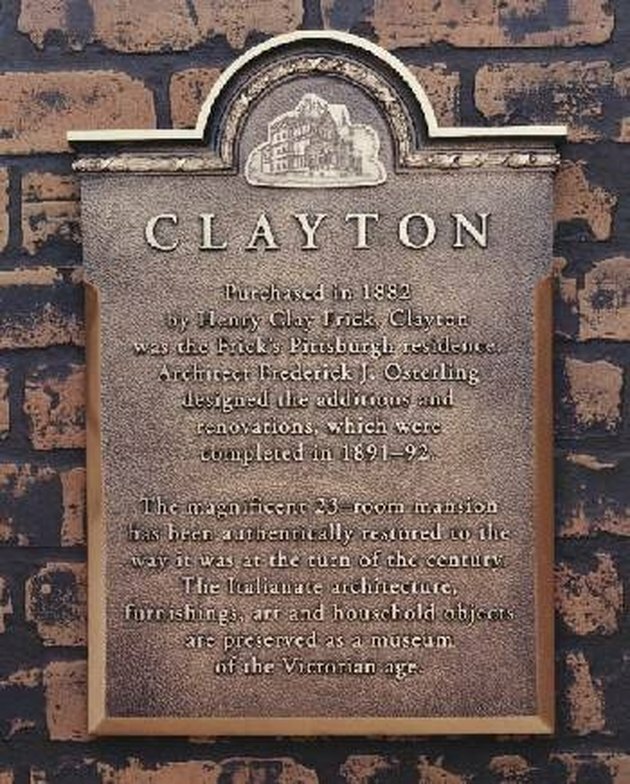 If you're looking to clean up a bronze plaque you'll be surprised that it's easier than you may think. With a little effort a bronze plaque can be cleaned in no time. Wipe off the plaque with a soft, clean cloth to remove any loose dirt or debris. Add 1 tbsp. of salt to a cup of white vinegar. Add enough flour to make a paste. Keep stirring and adding flour until a thick, paste-like consistency is reached. Apply the paste with a clean, soft cloth. Cover the entire plaque. Allow the mixture to sit on the plaque for at least 15 minutes. Rinse the plaque with warm distilled water and polish it with another soft, clean cloth.